The world’s first Virtual Nations project went public this week (May 13-14) via the VANZI conference in Sydney. An important advance in the Digital Earth concept proposed by Al Gore in 1992, Virtual Australia and New Zealand is a vision expected to ignite an international series of national simulations systems projects. Led by Melbourne businessman Michael Haines as CEO of the not-for-profit enterprise VANZI Ltd, the conference cross-promoted around 120 public and private sector stakeholders who are contributing to a gradually emerging trans-Tasman system of environmental simulations. Supporting organisations included the Commonwealth Office of Spatial Policy (Department of Resources Energy and Tourism) and Department of Infrastructure and Transport, the New South Wales Planning and Land and Property Information agencies, university-based research organisations, leading urban design services firms, and vendors of environmental simulation software systems. Main themes of the conference were how to establish legal, governance and online management frameworks to operate the VANZ system, how to integrate building information modelling (BIM) and geographic information systems (GIS) technologies to improve modelling of urban areas, showing current best practices in modelling built environments, and clarifying how public sector authorities are developing interoperable spatial data infrastructures (SDIs) for both countries. Haines described the VANZ platform as ‘a federated infrastructure’ of different databanks that could be accessed online via a range of different personal accounts and identification methods – including email addresses, social network logins, digital certificates and other secure IDs. Through the windscreen at a Perth intersection. VR-Design Studio modelling by transport simulation specialists Forum8 AU for the City of Nedlands. VANZI Ltd has commissioned a group of online secure access architecture specialists to propose future security procedures for accessing the Virtual ANZ system. There was some confusion about whether the gateway would be a ‘portal’ (as explained by Andrew Ferguson from Internet Commerce Australia) or a ‘single sign-on entry point’ (as explained by his associate, Mark Perry from APAC access management solutions engineers). However, the proposed security architecture will use latest versions of existing, widely used products. Shown as examples were Cloud Design, Ping (One and Federate) and Viewds. VANZI Ltd also is obtaining broad-picture legal and governance advice from Professor Michael Fraser, Director of the University of Technology Sydney’s Communications Law Centre. At the conference, Fraser identified copyright, property, privacy, freedom of information, confidentiality and insurance as the main relevant realms of law that would have to be transferred and synchronised between existing physical worlds and the future VANZ domain. Fraser said the Australian Government should consider establishing a single regulator to begin to deal with the organisational, structural, funding and governance issues. He said there would need to be a standards body to create the framework for officially authorised geospatial data, and the rules for control, interoperability and modifying the data. ‘We must consider the processes for scaling up to create a global interoperable virtual geospatial and georeferencing system,’ Fraser said. Fraser suggested that the VANZ project leaders should consult with the Parliamentary Standing Council on Law and Justice, then build a scaleable demonstration model and scale up in stages. He advised ‘the people in this room’ to collaborate to develop robust structures and systems to deliver the VANZ vision – not expecting Governments to lead the project but to regulate different components of the system when industry leaders agreed these were workable. 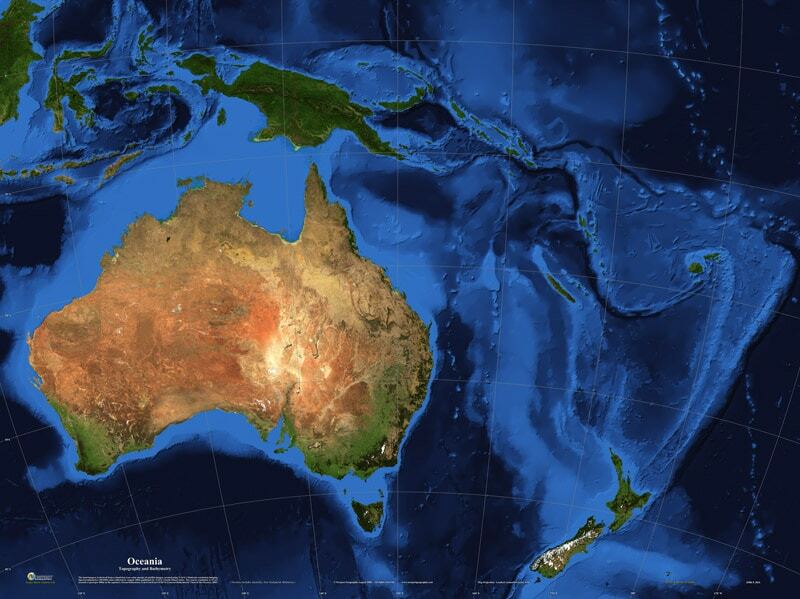 Ms Owens promoted ANZLIC’s recently announced ‘Foundation Spatial Data Framework’ comprising 10 spatial data themes to be collected and managed as the basis of a virtual system for managing both nations’ environments. The themes are geocoded addressing, administrative boundaries, positioning, place names, land parcels and properties, imagery, transport, water, elevation and depth, and land cover. Ms Owens said the ANZLIC member agencies aimed to have completed specifications, policies and delivery frameworks for all 10 themes by November 2013 – ready for implementation and testing. Ms Owens said data collected for these themes would underpin a broader ‘socio-economic layer’ of government-held information: including data for jurisdictional, sustainable development, national security, health, emergency management and environmental challenges. Providing a global perspective was Professor Abbas Rajabifard, Australia’s leading academic advocate to international spatial data infrastructure development organisations – Director of the University of Melbourne’s Centre for Spatial Data Infrastructure and Land Administration (CSDILA). Rajabifard emphasised the critical importance of AAA (accurate, authoratative and assured) land and property information to the success of the VANZ project. He said that accurate data would depend on reliable ‘on-ground truthing’ methods; authoratative data would be created within a regulated legal environment, and assured data would need to be guaranteed by governments. He said there also needed to be an authoratative audit trail for non-AAA land-related datasets and services. He suggested development of a 3D model for fundamental land data, XML schemas for implementation, a visualisation tool and an institutional roadmap. He also called for more work on integrating building information models with an evolving 3D Cadastre system (3D-visuals for official basic land information).